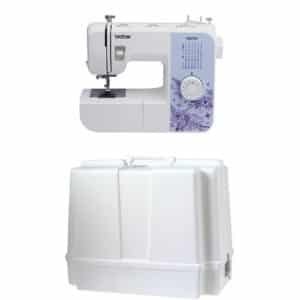 AUTOMATIC BOBBIN WINDING SEWING MACHINE: Simply follow the numbered diagram printed on the sewing machine. 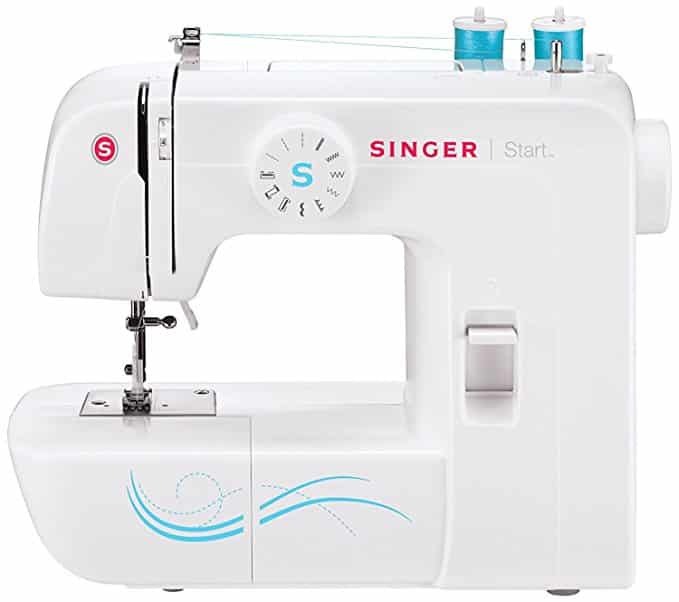 The needle bar automatically disengages when winding the bobbin, making bobbin winding safe. The bobbin will automatically stop turning when it’s completely filled. 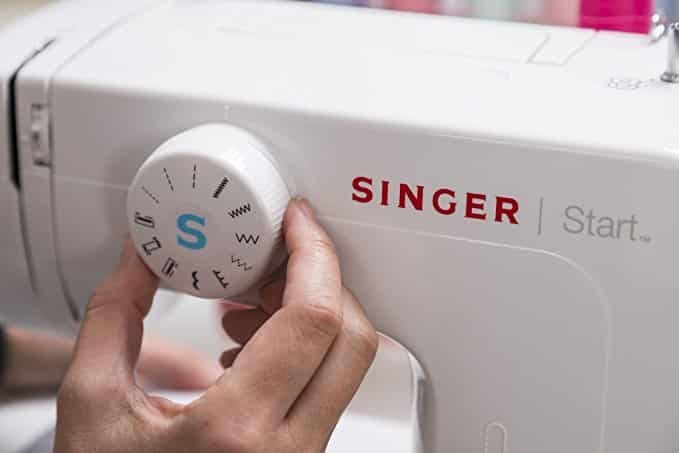 SINGER’s Start 1304 sewing machine has 6 basic stitches from which to choose, selected by the simple turn of a dial. 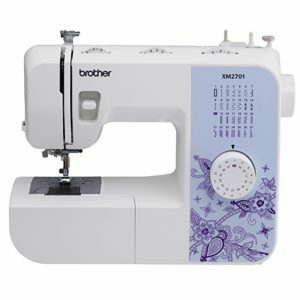 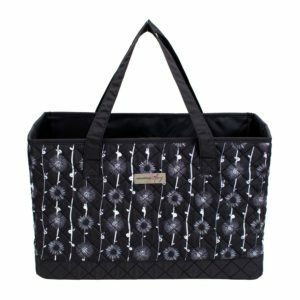 Because the stitch length and stitch width are preset, there’s no guesswork, making this a great machine for a hobbyist or even a beginner. Choose a straight stitch for basic sewing, sew a simple applique with a zigzag stitch, fix a hem with the blind hem stitch, or sew a decorative scallop stitch to embellish almost anything. 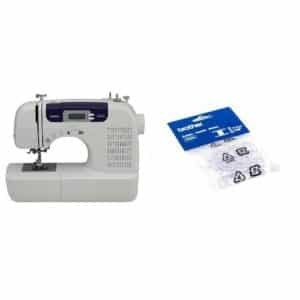 The Four-Step Buttonhole feature allows you to add buttonholes in four easy steps on things like pillows, children’s clothing, fashions and more. 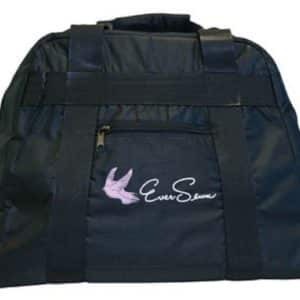 Slide off the Removable Extension Table to expose the Free Arm for hemming trousers and sleeves or for sewing other small projects. 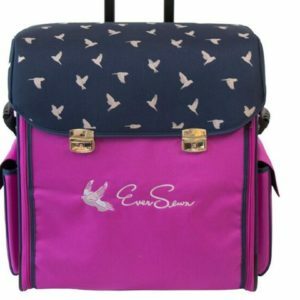 This machine is lightweight and portable, making it easy to carry or store. 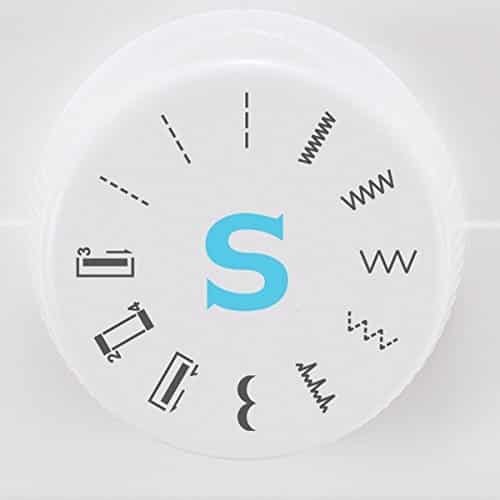 Threading diagrams are printed right on the machine so you can be set-up in no time. 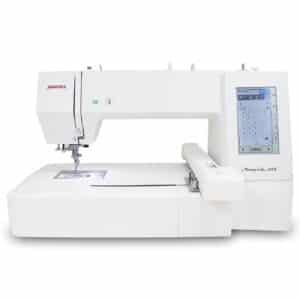 The two vertical spool pins make twin needle sewing quick and easy. 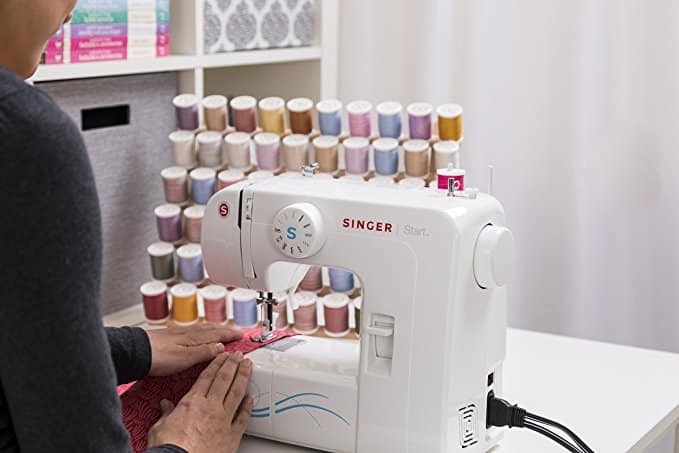 When sewing with a twin needle (optional purchase), parallel rows of stitching are perfect for hemming or adding a decorative touch. 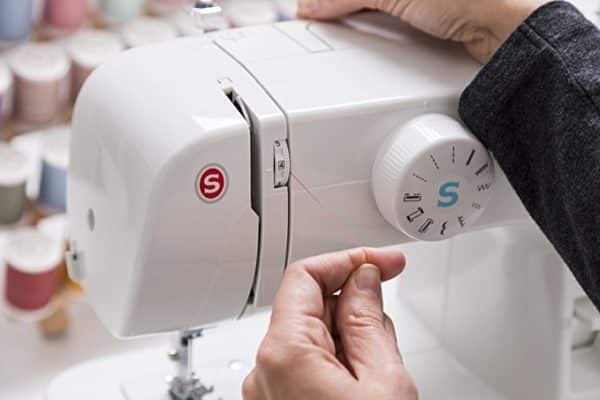 With the easily accessible stitch dial you can change stitches in one easy step. 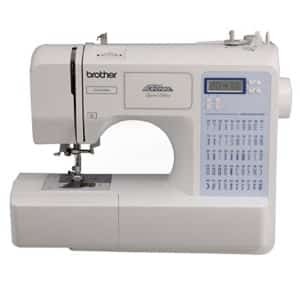 Straight, Satin, ZigZag, Blind Hem, Scallop, 4-Step Buttonhole. 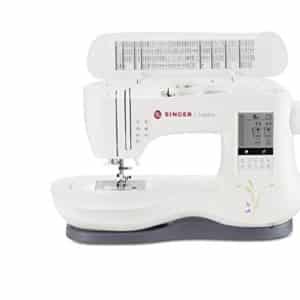 The internal skeleton of the sewing machine consists of a Heavy Duty Metal Frame that holds all the mechanisms in perfect alignment for skip-free sewing and overall durability. 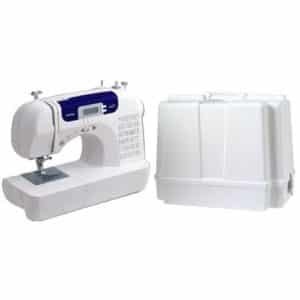 You can be sure that your sewing machine will last for years of extended use. 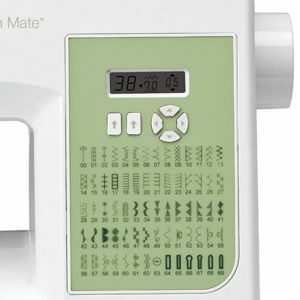 Buttonhole Foot – For adding buttonholes, slots for ribbon and more. 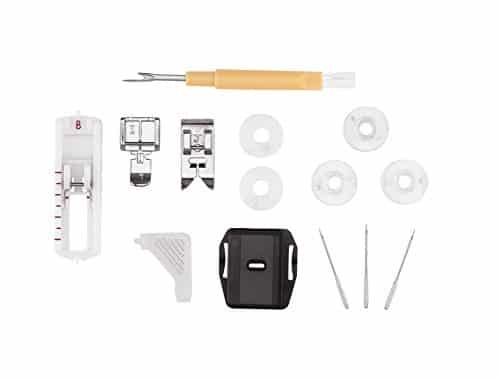 Zipper Foot – For adding zippers, piping, cording and more. 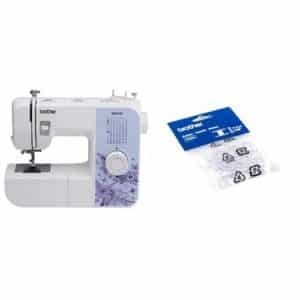 Getting started sewing is easy. 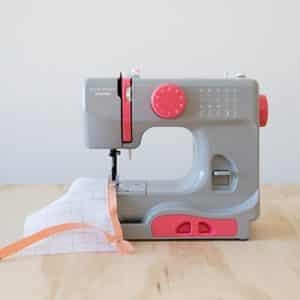 There’s no need to make stitch length and width adjustments. 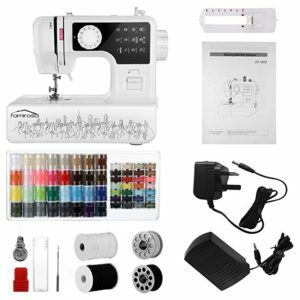 All-Purpose Foot, Zipper Foot, Buttonhole Foot, Darning Plate, Pack of Needles, Bobbins, Needle Plate Screwdriver, Spool Pin Felts, Seam Ripper / Lint Brush, Soft-Sided Dust Cover, Power Line Cord , Foot Control, Quick Start Guide, Instruction Manual.